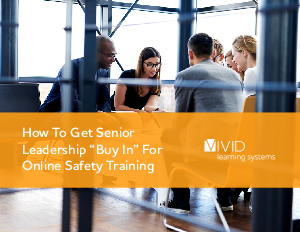 With this paper, we’re going to cover facts about the value of delivering your critical safety training online, so you can help clearly explain what it can do for your organization to people that are not safety and training professionals. Safety doesn’t have a seat in the boardroom. In some operations, safety does not even have a budget. And cultivating a safety culture isn’t normally the highest priority for executive decision makers who can write the checks to fund common sense safety solutions.